Call it a labor of love and a savvy business vision. A Texas family has created a best-selling line of healthy tortillas and tortilla chips sold in national chains like Whole Foods, and it all started with a conversation between siblings. Veronica Garza, co-founder and president of the Austin-based Siete Family Foods, was home for the summer after completing her Master’s in Business Administration. In a conversation with her brother Roberto about several auto-immune conditions she has had since high school, he suggested that a grain and gluten-free diet could help alleviate the symptoms she’d been struggling with since her diagnosis. She decided to follow his advice. “I started doing that, and when I did my whole family just jumped on board with me,” said Veronica. But it meant giving up the flour tortillas that were a staple of her family’s Mexican-American diet, so she created a recipe using almond flour to fill that void. It may have stayed in the family if her youngest brother Miguel, just out of law school, hadn’t intervened. “Miguel kind of convinced me and my mom that we should turn this into a business,” Veronica said. Miguel also convinced the buyer of the Austin’s Wheatsville Food Co-Op to meet with them. Miguel insisted the buyer try the tortillas in front of them. The buyer liked what he tasted and was ready to place an order. 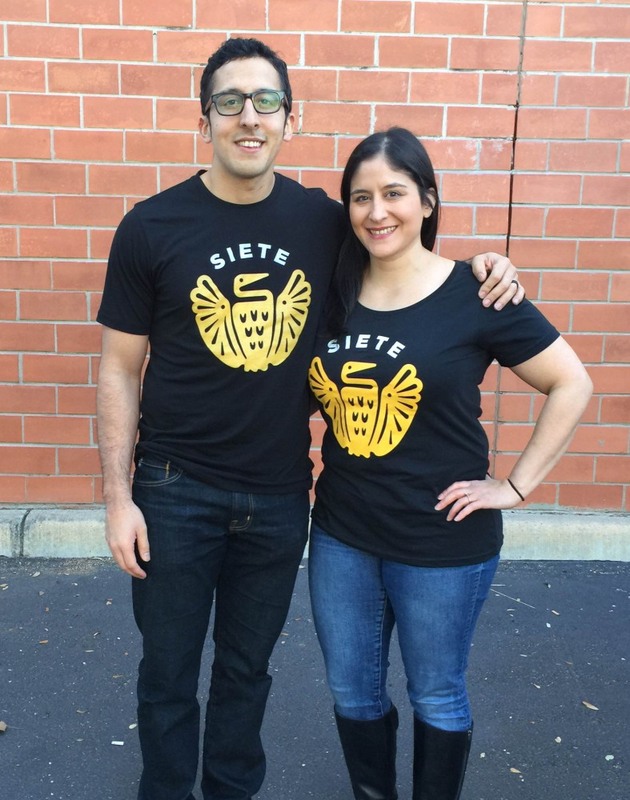 The Garzas weren’t ready to produce them just yet, but they found a commercial kitchen soon after, officially launching Siete Family Foods in 2014. “We would hand press the tortillas for hours, until 3 in the morning sometimes, every weekend, then that became every day,” recalled Veronica about how her parents and her siblings got the products started. “I had to quit my job because I didn’t have time for it anymore,” said Veronica. 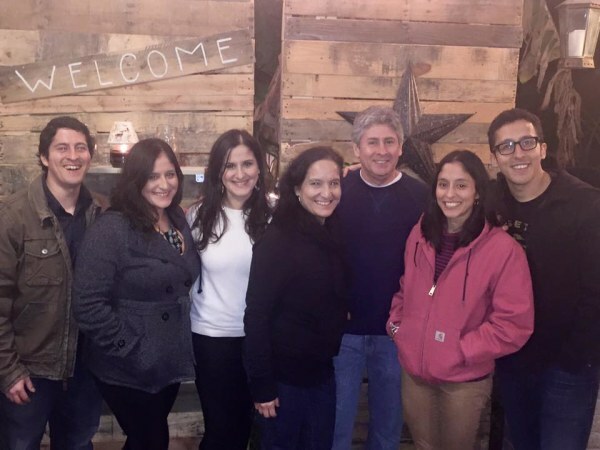 Their efforts paid off; their products are now nationally distributed in over 500 stores, including Whole Foods, and six of the seven members of the Garza family work for the business full time. The Garzas reflect a diverse Mexican lineage and roots in Texas going back six generations. Their maternal grandfather, Antonio Campos, was a civil rights advocate and had a law degree. He helped develop the “The Schools of the 400”, a program for non-English speaking children that would become a model for Head Start, among other initiatives. We spoke to Veronica and Miguel about how they got started, the family dynamic that keep them going, and the mission propels them forward. Why was it so important to re-incorporate tortillas into your diet? Veronica: We lived in Laredo, a border town in Texas, right across the bridge from Mexico. Tortillas are a staple in our diet and always have been when were growing up. We just felt like we were missing out not being able to eat any, missing out on some of our culture. Was there a point when you decided that this was an idea you could develop and market? Veronica: I thought that there was business potential here, but I had no idea what to do, so there was a lot of fear of how to go about that. When I brought my family into the picture, as far as launching a business, it kind of all came together because I had that support that I needed. Miguel: Maybe I was opportunistic but I kind of just weaseled my way into it as the baby of the family does. Like my sister, I thought the product and idea was something that would be life changing for a lot of people, and I convinced her that I could have a positive impact of the future success of the business. The verdict is still out, but I’m trying. We all know the challenges of working with family. What’s the upside? Veronica: We had a gym together before we launched this business. So we enjoy being around each other, we enjoy working with each other. Everybody has a different set of skills they contribute to the business. And we know each other so you don’t have to walk on eggshells. It works out for us. 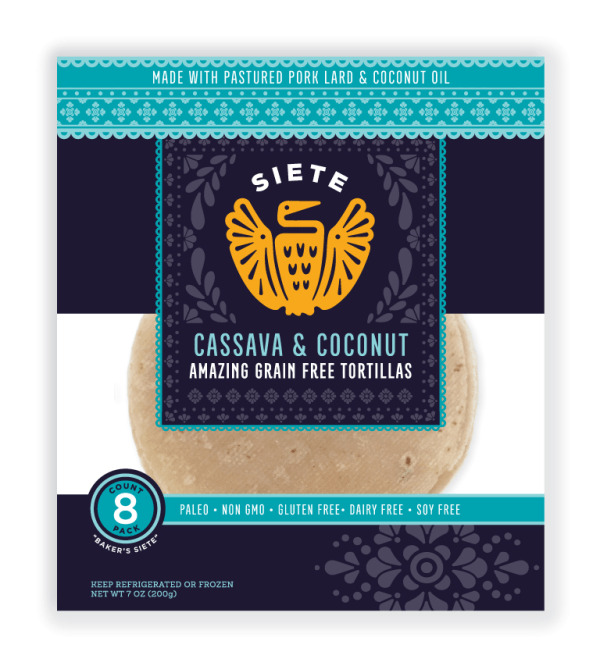 You describe Siete Family Foods as a mission-based company. What is that mission and how would you like to see it grow? Miguel: Our tortillas and chips are in the marketplace and if people want to eat them, that’s fantastic. But we have this goal of educating people on what food is, what food does to the body, and how it can shape you’re health and wellness. Education is a massive undertaking because, as an entire society, we’ve lost some of the intimacy with our food, where we don’t know what is actually going in our body. At a macro level, we have this idea that we can bring people back to the table, that we want to create products that are inclusive. We [also] have parents and grandparents before us that have forged a path to create opportunities for us. I want to do the same thing for this generation and the next. Whatever we’re doing is to lift people up. On the business side, I have that as a goal for myself, to create more opportunity. Veronica: That’s definitely a family mission too, something ingrained in us. Especially with my grandfather who was very involved with Mexican-American civil rights. I studied Mexican-American studies in college, that was my degree, and initially I thought I would go to law school and follow the path that my father, sister, and eventually my brother took. To have something to do with public policy to effect a positive change for Latinos. I didn’t end up doing that. So I do feel that having this business can do that. Especially, if we can have a company that I could be a mentor to someone, a Latina that is trying to do something similar, that would be great. I would feel like I’ve done something positive for my community. It’s not a mission for our business but something personal.